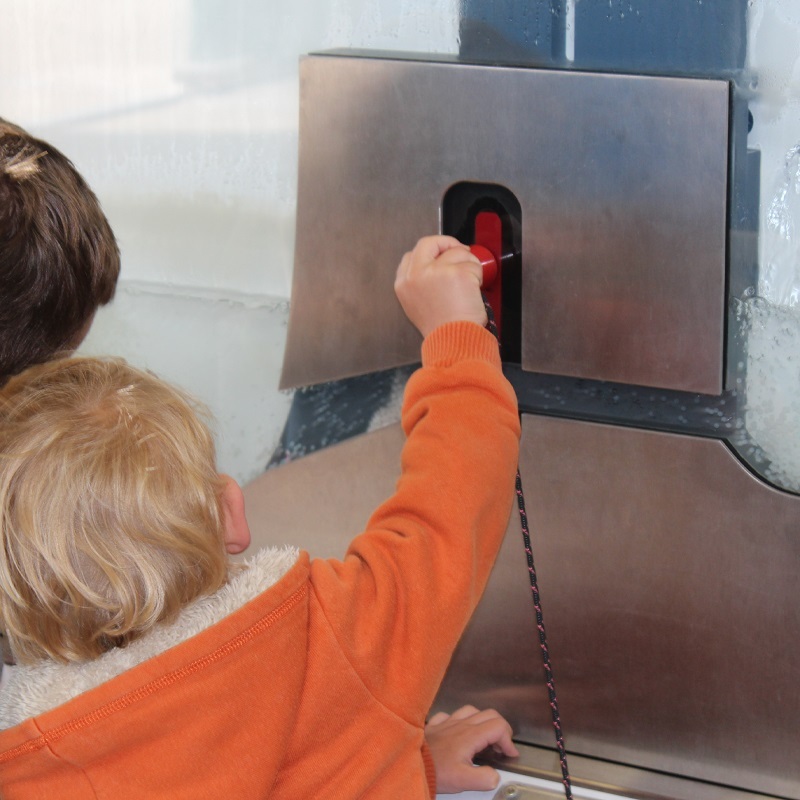 Explore the fascinating story of Bristol’s Floating Harbour through hands-on displays, a giant interactive map and with the help of our amazing volunteers. 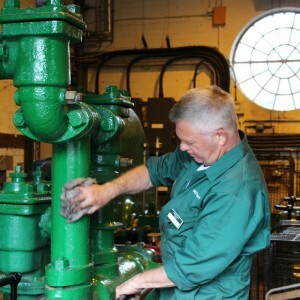 In here you can see three electric pumping engines that powered a port. The 1907 pumps are being lovingly restored so that we can demonstrate them to visitors and our fantastic volunteers will explain how they kept Bristol Docks running for over 100 years. Supported by the AIM Biffa Award National Heritage Landmark Partnership Scheme. Our model, known as the Human Accumulator, explains hydraulic power in just 2 minutes. 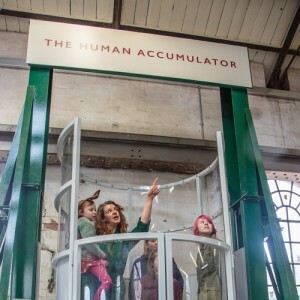 Visitors enter the accumulator drum to act as 80 tonnes of scrap metal. They are lifted several metres upward using the power of pumps and, at the turn of a valve, their downward force pushes hydraulic fluid through an overhead pipe to lift a sluice paddle. Science in action has never been so uplifting. You’ll be awash with knowledge. Use the giant map to locate yourself, your favourites Bristol attractions and discover important features of the docks. 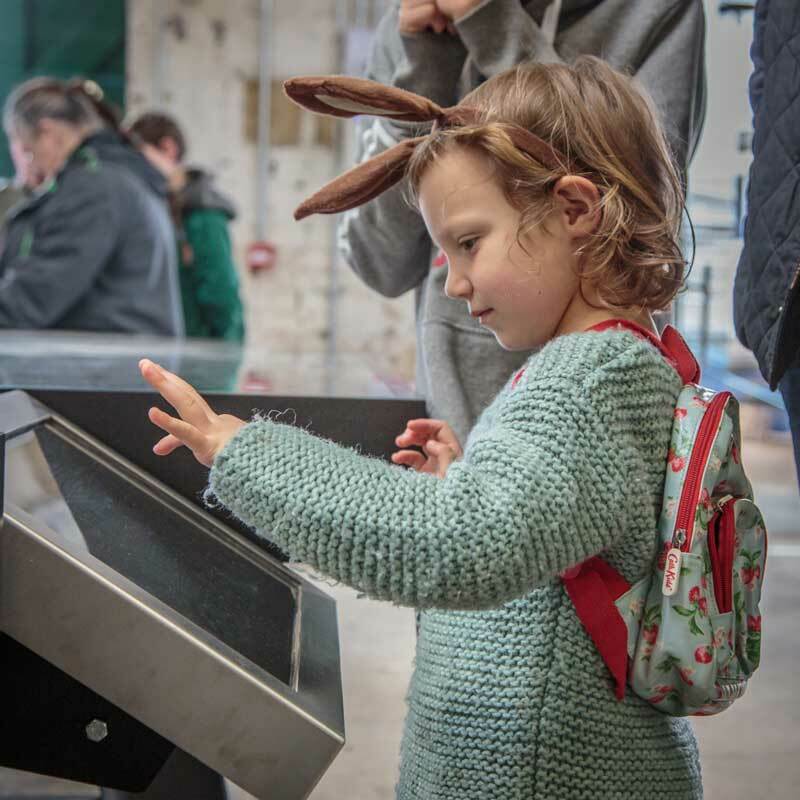 Digital screens illuminate the stories and functions of Underfall Yard and the Floating Harbour. Memory and quiz games will help you test your knowledge. Discover the people that powered the docks, the changes to Bristol over the years and the feats of engineering that have resulted in the great city that we know and love today.